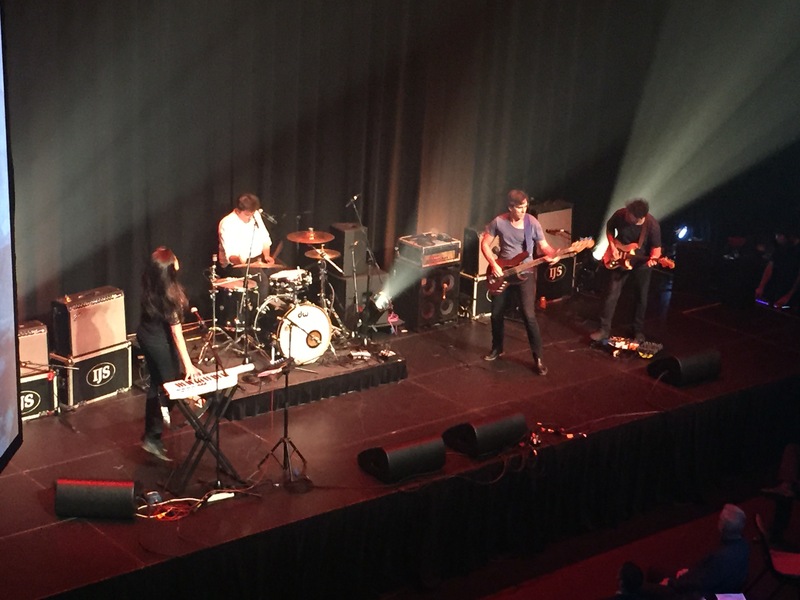 THE talent-rich sunshine state celebrated another fantastic year of music and creativity at the Queensland Music Awards at Brisbane Powerhouse in New Farm last night, with big wins for Violent Soho, Sahara Beck, Bobby Alu, The Amity Affliction and Airling. Hosted by six-time veteran Sarah Howells of triple j and the wonderfully hilarious Fred Leone of Rival MC and Yarwah fame, the event – moved from its normal September slot to avoid clashing with BIGSOUND – proved to be another fine showcase of the outstanding range of quality music coming out of Queensland in recent months. While Violent Soho bagged album of the year for Hungry Ghost, freakishly-talented teenager Sahara Beck deservedly grabbed the gong for most popular female, and a laidback Bobby Alu picked up the most popular male award, leaving last year’s winner Jeremy Neale empty-handed. The Amity Affliction accepted their award for most popular group with a video message from somewhere on tour in the northern hemisphere, while Airling not only performed her excellent track ‘Wasted Pilots’, but also snagged the pop award for the same song. 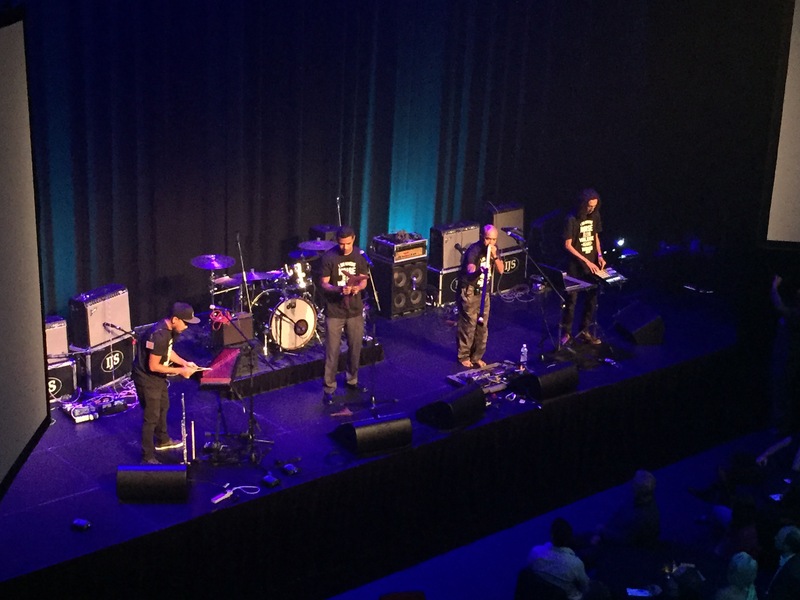 The excellent The Medics deservedly picked up an award in the Indigenous category for their track ‘Wake Up’, with singer Kahl Wallis giving thanks in poetry form, while country rock ‘n’ rollers Halfway nabbed gongs in the country category and for song of the year for ‘Dulcify’. With live performances from Yarwah, Halfway, Sahara Beck, MKO, Airling, Katie Noonan + cln, Blank Realm (who were, by far, the outstanding live performers of the evening) and We All Want To, the Queensland Music Awards for 2015 proved to be another celebration of everything that’s great about music in the state, with every nominee deserving of being a winner. A special mention has to go to host Fred Leone, who not only performed with his excellent band Yarwah and helped introduce the #notON campaign aimed at stamping out violence against women, but was a constant source of hilarity throughout. “I’m getting on towards middle age for a black fella,” he said, at one stage, to awkward laughter. “I’m 36 and we die around 50.” At another point he had the room in stitches while, after listening to Sarah Howells talk about and thank her dressmaker for a bit longer than was perhaps necessary, he uttered the immortal words “And I would like to thank Trade Secret at Chermside for these pants – $30.” What a dude.